Xperience church doesn’t have members, per se, but 355 volunteers make up its Dream Team who assist in services and commit to serving others through the church. In its first five years, the nondenominational church grew to a weekly census of just over 1,000 worshipers. 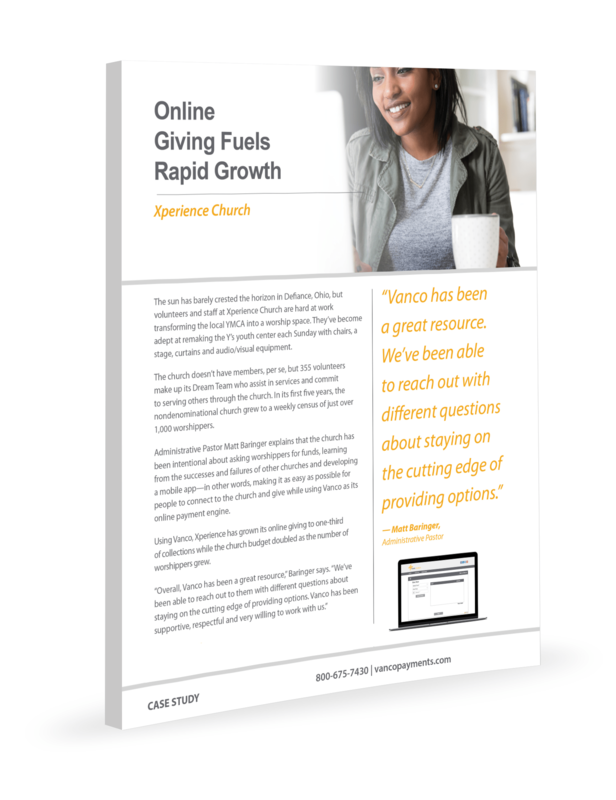 Using GivePlus, Xperience has grown its online giving to one-third of collections while the church budget doubled as the number of worshipers grew.